The post Okeechobee Fishing Guides- Okeechobee Fishing Report 11/28/17 appeared first on Lake Okeechobee Bass Fishing at it’s BEST! Top Fishing Guides. The post Okeechobee Fishing Guides- Okeechobee Fishing Report 11/27/17 appeared first on Lake Okeechobee Bass Fishing at it’s BEST! Top Fishing Guides. I had the pleasure of fishing with Toni award winning producer Mark Schwartz and his beautiful wife Nancy. We had an awesome day caught a ton of fish and I enjoyed some great stories from Mark. The fishing is getting better and better and the weather has been just spectacular. Come out and join us the winter and catch those Okeechobee Bucket Lips. The post Okeechobee Fishing Guides- Okeechobee Fishing Report 11/26/17 appeared first on Lake Okeechobee Bass Fishing at it’s BEST! Top Fishing Guides. The post Okeechobee Fishing Guides- Okeechobee Fishing Report 11/25/17 appeared first on Lake Okeechobee Bass Fishing at it’s BEST! Top Fishing Guides. The post Okeechobee Fishing Guides- Okeechobee Fishing Report 11/24/17 appeared first on Lake Okeechobee Bass Fishing at it’s BEST! Top Fishing Guides. The post Okeechobee Fishing Guides- Okeechobee Fishing Report 11/22/17 appeared first on Lake Okeechobee Bass Fishing at it’s BEST! Top Fishing Guides. The post Okeechobee Fishing Guides- Okeechobee Fishing Report 11/18/17 appeared first on Lake Okeechobee Bass Fishing at it’s BEST! Top Fishing Guides. 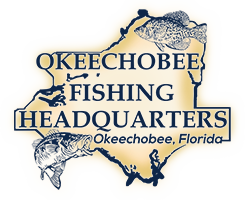 The post Okeechobee Fishing Guides- Okeechobee Fishing Report 11/17/17 appeared first on Lake Okeechobee Bass Fishing at it’s BEST! Top Fishing Guides. The post Okeechobee Fishing Guides- Okeechobee Fishing Report 11/16/17 appeared first on Lake Okeechobee Bass Fishing at it’s BEST! Top Fishing Guides.